Products / One month of Cotton Cuts! One month of Cotton Cuts! This is for one month, non recurring, of Cotton Cuts. 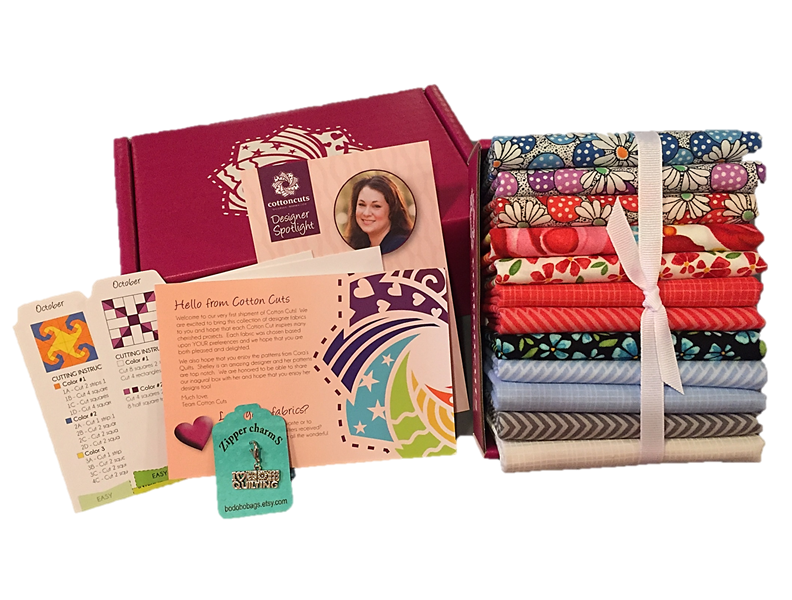 We'll ask you a few questions and then curate the perfect bundle of fabric, patterns and blocks for you! We'll send a short survey after we receive your order to collect the information we need to deliver you the perfect surprise. Please note the following delivery schedule - your package will ship on the 20th of next month, unless we have availability in our current month production schedule. Please let us know at help@cottoncuts.com if you have a special need for a box to be delivered earlier. Shipping is a flat rate of $6.75 for the single box. Unfortunately additional discounts cannot be applied to this item.